Where students are bilingual, bi-literate and bicultural. Sign up for emails and follow us! Get the latest updates directly in your inbox by signing up for DIAS PTO's emails at the bottom of this page or by emailing diaspto@gmail.com. We're also on Facebook and now on Instagram! ​Designed to assist young children in becoming personally, socially, and physically competent, effective learners who are ready to transition to kindergarten. The Smart Start program is a Spanish immersion program for both Spanish learners and native Spanish speakers. Children who will be 3 or 4 years old by 8/9/19 are eligible. Dual Immersion Academy of Salinas is a public magnet school. You must transfer from your home school to enroll. Learn more about how to apply for an inter district or intra district transfer and the application process. Thank you to our parent volunteers! Thanks to all the parent volunteers and families who helped coordinate, setup, and clean up for Corazones Unidos, our family dance! We appreciate you all! All DIAS parents and teachers are invited to join our Parent-Teacher Organization meetings the second Thursday of the month from 5:30-6:30pm (except February will be Thursday, Feb. 7). See calendar to the left for more info. We'll plan for upcoming events, field trips, fun and fundraising. Free childcare is available. We encourage all parents to attend our monthly meetings and get involved with our school! Can't make it to a PTO meeting? Read our PTO notes and find out about upcoming events, fundraisers and more. Thank you to our DIAS parents and community for your Pumas Pledges to help support enrichment programs for our students. Thanks to your generous donations, The Dual Immersion Academy of Salinas Parent-Teacher Organization (DIAS PTO) is able to support many of the school’s field trips, community-building events and learning experiences that make our students’ day special. Get to know our PTO! Our goal is to help give you the tools to help your child succeed and we encourage all of our families to get involved with our school. It's easy to participate and provide our children with a fantastic education! 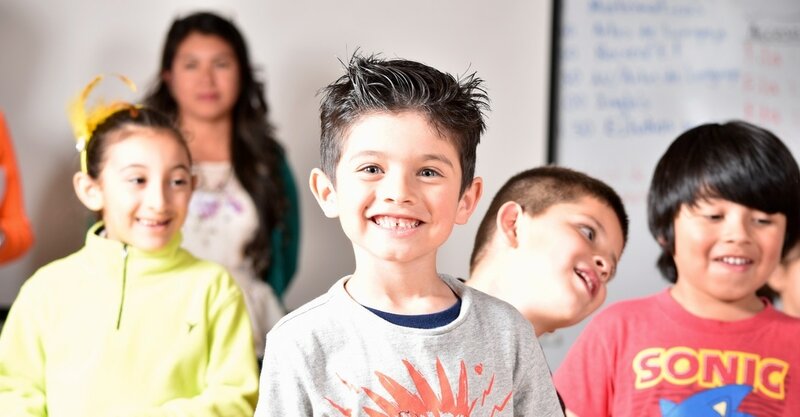 ​A public magnet school, DIAS is the fourth school in Salinas City Elementary School District (SCESD) to offer a Spanish dual immersion language program and the first school to offer only dual immersion Spanish classes. ​DIAS is also the first and only school in the district to offer a STEAM (Science, Technology, Engineering, Arts, and Mathematics) curriculum. STEAM encourages unique solutions, inventive thinking and problem solving. DIAS integrates both native English speakers and native Spanish speakers for the entire school day. DIAS provides the 90:10 model in the first two grades (courses taught in 90% Spanish and 10% English) and incrementally increases the amount of English to a 50:50 model in the upper grades. All students learn to read, write, and speak fluently in English and Spanish. A positive learning environment at home has a powerful impact on how well students do in school. Our goal is to help give you the tools to help your child succeed and we encourage all of our families to get involved with our school. Whether you can join us in the classroom, volunteer for a committee, or participate in our PTO, every action, small or large, adds up to making a big difference.